Tempted to go on a detox, juice cleanse or diet? STOP! 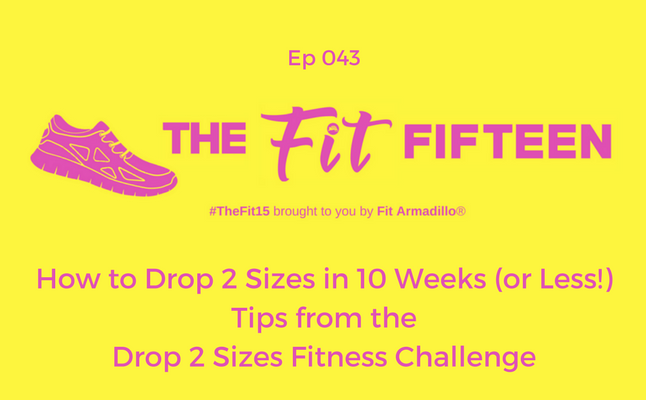 Steal these tips from the Drop 2 Sizes Fitness Challenge to learn how to get summer ready while enjoying life. Fit Armadillo founder and ACE-Certified Personal Trainer, Catherine Basu, might be risking her job to share this fitness advice, but if she hears one more person going on THAT diet and living off lemon water, she might lose her mind. To learn more about the challenge and save your spot you can head HERE. Listen to my interview with challenge participant Megan HERE.